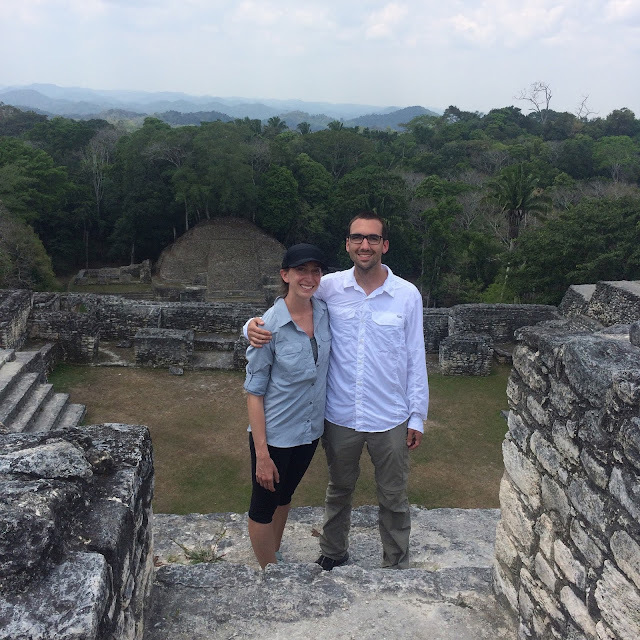 We made it to the end of my Belizean journey! I've said it many times before but I'll say it one last time- this was the best trip of my life. Not even mentioning the fact that I got married, this trip was full of adventure, relaxation, and incredible beauty. It was my dream trip and remembering it by sharing these posts has been the best. Today I'll be sharing everything else that we did that didn't really fit into a category (the wedding, San Pedro, the caves, and Hidden Valley Inn). I hope you enjoy, and book a trip to Belize ASAP! 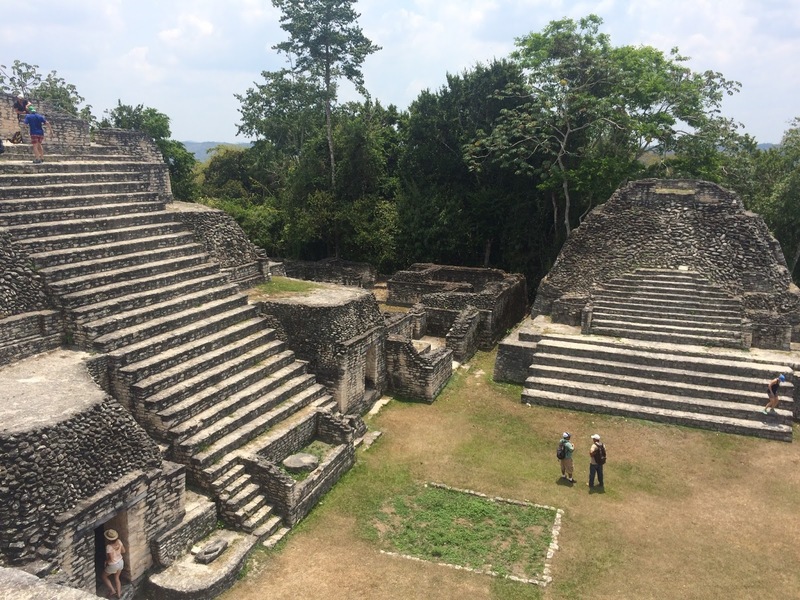 One of the big reasons why we ended up choosing Belize was because they have a rich Mayan culture (most of the older citizens are tri-lingual in English, Spanish and Mayan). I've never seen any ruins, and that was at the top of our list. Luckily for us, the Hidden Valley Inn offered tours of all of the ruins around the country, and one in Guatemala. We decided on Caracol which was nearby and also the largest. 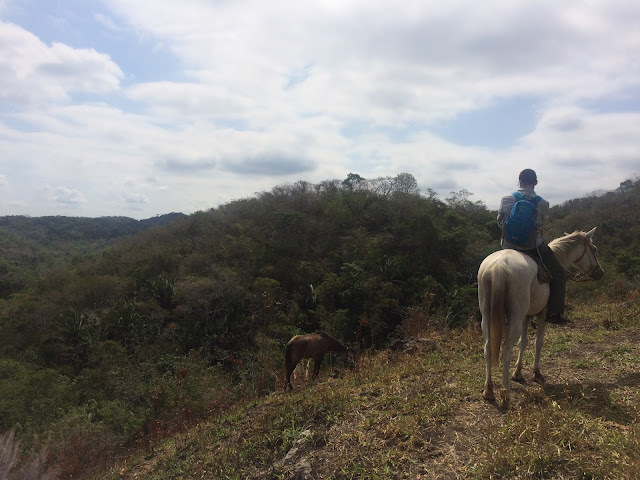 Here's what HVI has to say about Caracol: deep in the Chiquibul Wilderness and cloaked in jungle, it is difficult to appreciate the extent of this mighty city in one breath. Excavation and preservation of Caracol began in 2000, with the restoration of Caana, The Sky Palace. Caana stands at 140 feet tall in what was once the center of this city. Today, it is still Belize's tallest man-made structure and boasts impressive views of the surrounding jungle. Caracol consists of more than 4,000 structures spread over 55 square miles. Exploration of this temple has led to the discovery of, among other things, a large hieroglyphic panel which describes solstice rituals conducted by Lord Kan II in approximately 7AD and a frieze of the Witz Monster Mask which represents the sacred mountain. I was in absolute awe the entire time we toured Caracol. The structures were massive and it was strange to think that people lived here so long ago. Now I'm even more desperate to see Machu Picchu! 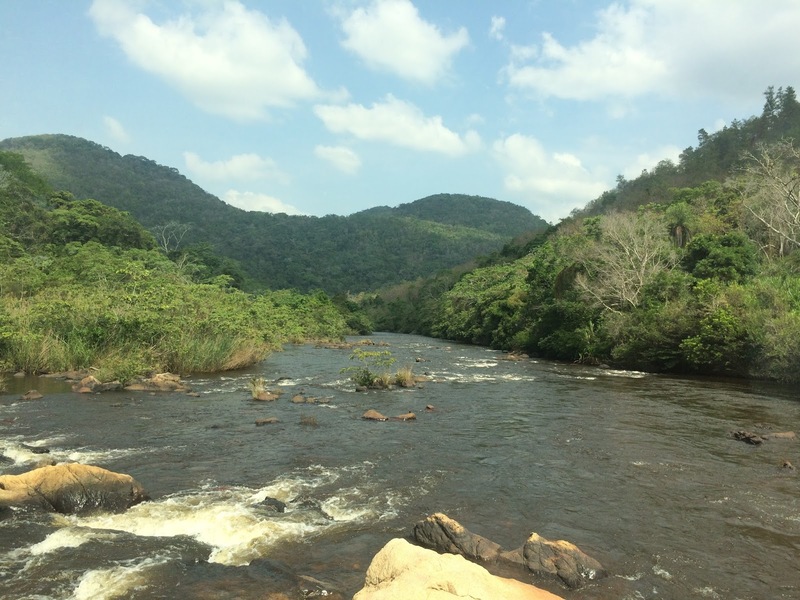 After we were finished touring Caracol and having a quick picnic, we headed to Rio On Pools. 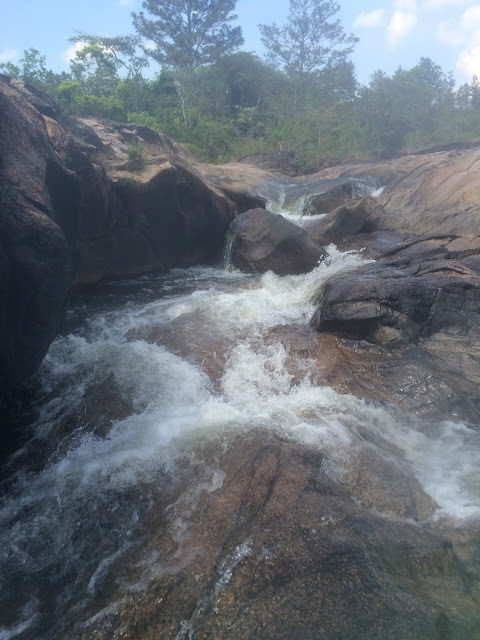 This is a huge fresh-water pool, complete with granite rocks and ledges with incredible waterfalls. It felt so good to swim in the cool water after sweating it up at the ruins. It was so fun to sit underneath the waterfalls for a mini back massage, sunbathe on flat rocks, or swim in the deeper water. Plus, how gorgeous is this area?! 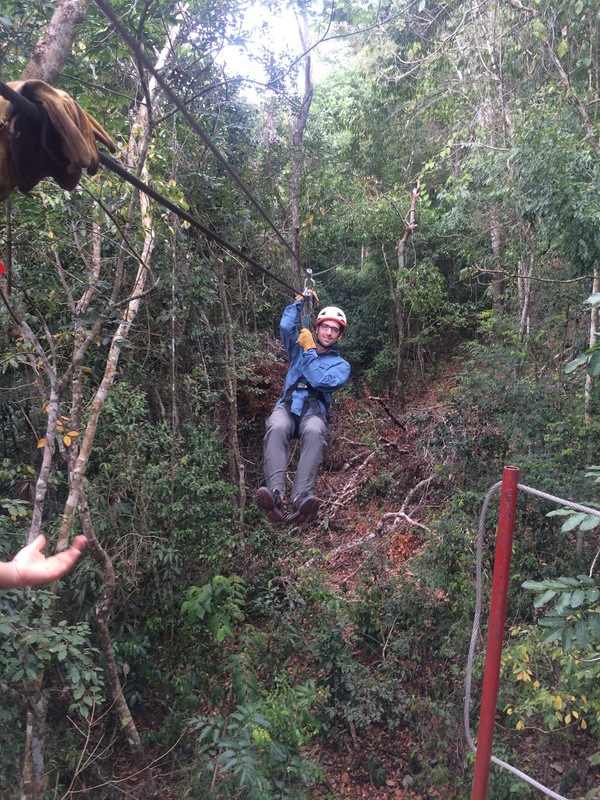 The following day, we went zip lining at another resort! I absolutely love zip lining (or just about anything where I can go really fast and feel like I'm flying) so this was a must- do on our trip. This was actually right after we did our cave canoe trip. The lines were so much fun, and we got to do some hiking as well. 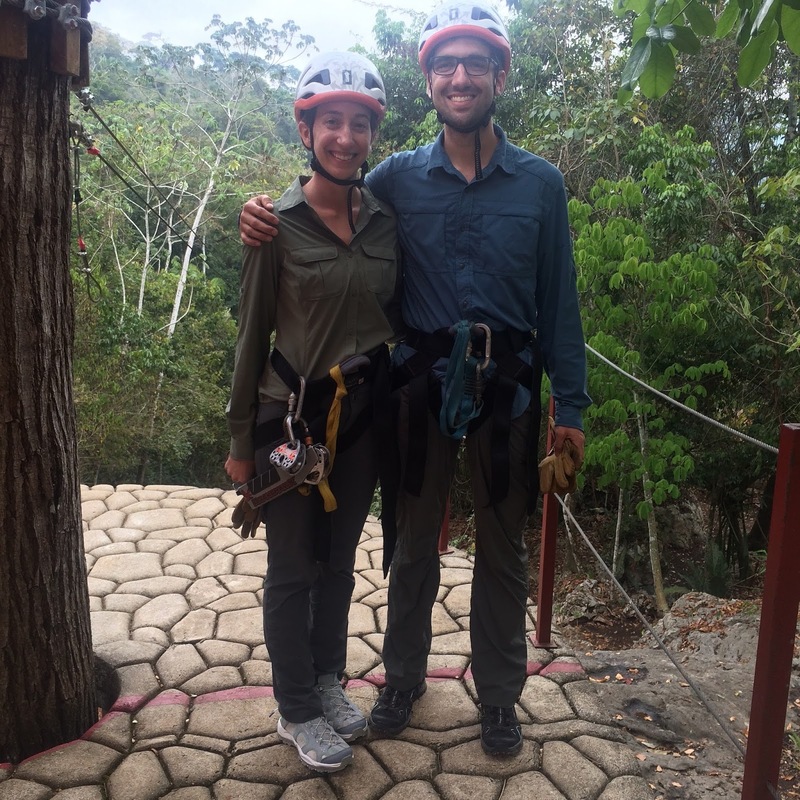 Our two tour guides taught us a lot about Belizean culture, and told us that since wet season is about to start, the country was as brown as it would ever be. This blew my mind because every where I looked (especially up in the air) I saw so much greenery and beautiful, lush trees. I couldn't imagine how much more beautiful it could get! The morning of our wedding, we went horseback riding at a nearby farm. Our guide was so sweet and was giving us marriage advice the entire time! He also taught us more about the history of Belize. It was amazing to me how much pride all of the people we met had for Belize. They knew so much about the history and the plants and animals. You could tell how much they love and respect their country. We went all over his property (including some crazy steep hills that made me question if I would actually make it to my wedding) and hiked down to a small cave. Dan also made a little friend! 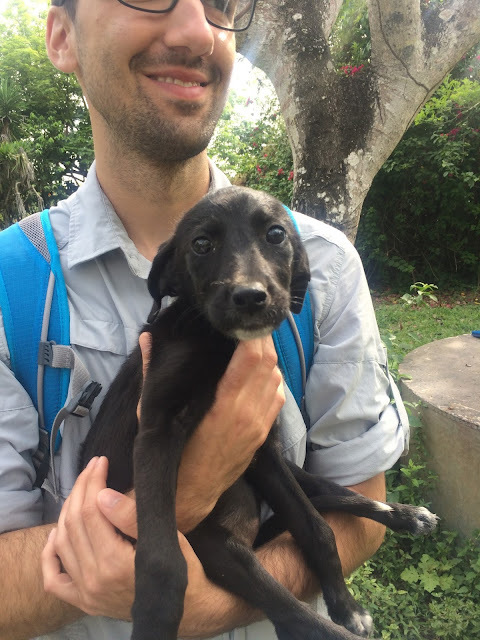 The guide had tons of dogs running around, and this little girl is named Princess. She reminded us of Selma and didn't want to leave his side! There you have it! The trip of a lifetime summed up in four posts. I hope you enjoyed following along, and if anyone wants to go I'll hide in your suitcase! Would you go zip lining? Best trip would be my honeymoon as well--I think that is how it is supposed to be! I would love to visit the ruins--one place I would really like to see is Machu Piccu. That would be outstanding. I want to go too! Travel buddies?? I loved the trip I took in February--it was a cruise from florida that hit Mexico (2 spots) Belize and Honduras. So awesome! 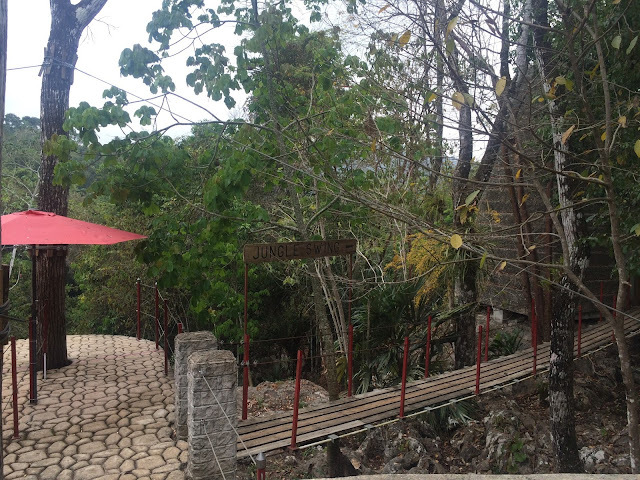 I loved hiking the mayan ruins in mexico--it was so amazing! 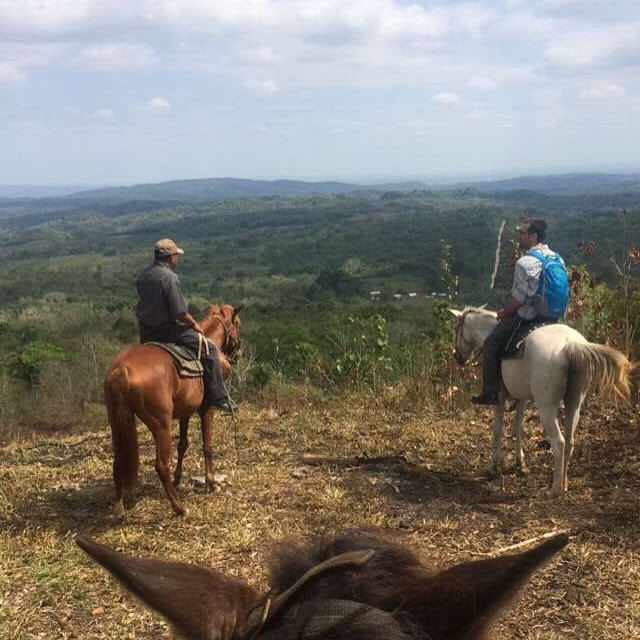 I actually wasnt much of a fan of horseback riding in Mexico--it was my first time and my horse was sassy and wouldnt listen! Quite an adventure. You really know how to have fun. What a fun trip! I've done Costa Rica, but not Belize! Hope to go soon! I love Colorado too! Such an amazing state. Phenomenal pictures, as usual. I've been ziplining up at Whistler. I'd be scared to go through a tropical forest on a zipline though because I'd be afraid of zipping through a spider web and getting it on my face. It looks like you experienced so many incredible things! Our trip to New Zealand last year was pretty awesome - we traveled the whole of the North Island and experienced so many things. Each day we did something different and it was really fun to just get out there and explore! What a marvelous trip! So happy for you guys!